In today's post I will tell you how you can embed PDF, DOC, or XLS files into blogger blog. This post is also described How to show PDF, DOC or XLS files on blogger without using third party or services. 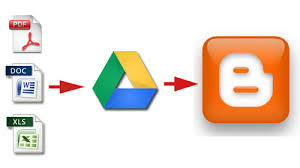 Blogger is a free blogging platform by Google and there are some limits, you cannot upload pdf, doc, xls files directly. So before we used third party websites or hosting services to embed these files. But now you don't need to go to third party websites, you can embed your PDF, DOC or XLS files using Google Drive, Google drive is a free cloud storage service by Google. So, without wasting a time let's come to the tutorial. At first, Go to the drive.google.com and login with your existing account or create a new one. 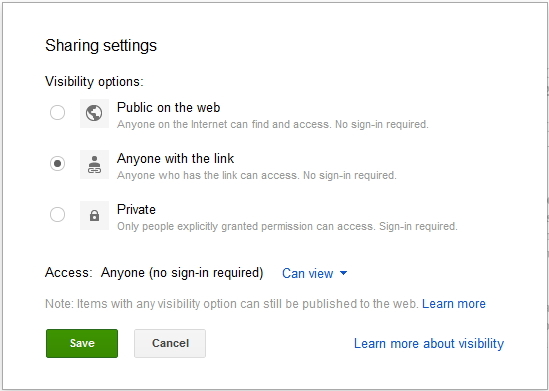 In the new tab click on share and change the properties of sharing 'Private' to 'Public' or 'Anyone with the link'. 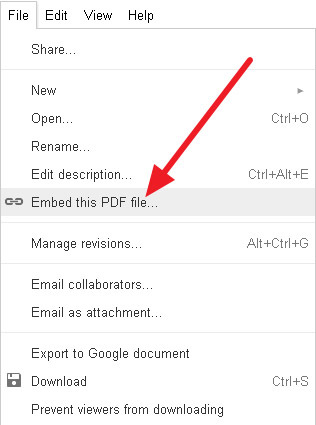 Now, go to File > Embed (this PDF file) in menu bar. Now, Embed code will pops-up just copy that code and paste it on Edit HTML mode in blogger post editor.